London South Bank University (LSBU) has been ranked tenth in a recent annual diversity poll by leading recruitment firm – Vercida - alongside other top diversity employers including the BBC, Sainsburys, Lloyds bank, Thames Valley Police and Bloomberg. Vercida carried out the research by sampling the views of 120 of its members to see which of their clients were taking that extra step towards tackling ethnic equality in the workplace. CA Technologies topped the list, followed by Bloomberg at number two and the BBC came third. 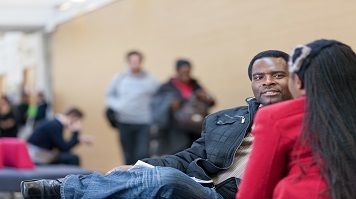 LSBU was the only university in the top ten, chosen for its range of staff networking groups. These networks provide staff with a social way of communicating with other LSBU staff and they cover an interesting range of equality and diversity issues. LSBU's staff network is called Equinet and represents black and minority ethnic staff at LSBU – promoting the University as a safe and diverse place to work. In 2017, Equinet hosted an event for Black History Month showcasing a range of inspiring poetry, talks, writers, musicians and entrepreneurs. The purpose of compiling a list of the top 10 Black, Asian and Minority Ethnicity (BAME) Employers 2017 is to see which organisations keep on top of equality, opportunity and fair treatment of everyone, regardless of their ethnicity. View the full top 10 list.